According to the page, users in some regions will get a new Huawei Watch GT Active - which has also leaked - and JBL speaker when they order a Huawei P30 or P30 Pro at 'roadshow venues' on April 6. The leaked page - which has been taken down, but can still be seen on the Wayback Machine - also talks about improved low-level camera performance in both photo and video, a new camera system for dedicated lossless zoom and a feature that lets you record two video streams at once - zoomed in and at normal length. (Why you'd want that last feature is slightly beyond us - but we'll see what it's like when it's shown off next week). 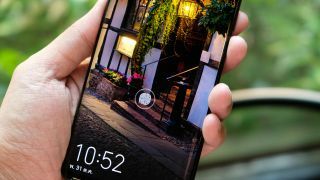 We're going to be live at the Huawei P30 launch next week - we're expecting to hear far more than what's been shown off today, given this is going to be one of the more popular phones of the year.